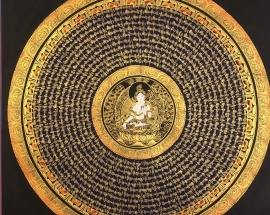 Om Mani Padme Hum Mandala with 8 auspicious symbols is beautifully handpainted on cotton canvas using mineral color, gold in blue background. 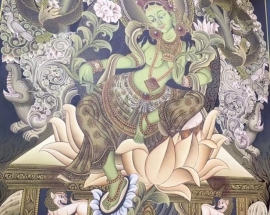 Green Tara Newari Thangka Painting is hand painted with water mineral colors, stone colors by Newari artist living in Bhaktapur Nepal. 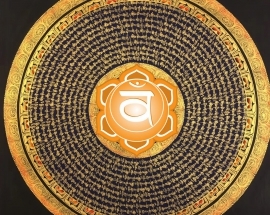 Sacral Chakra is in the center of the mandala and it is surrounded by the Om Mani Padme Hum Mantra. 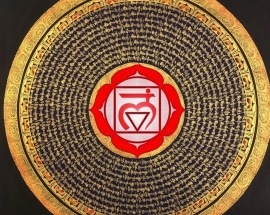 The Root Chakra Mandala is perfect for yoga and meditation. 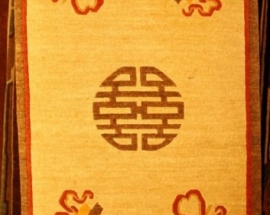 You can use this beautiful mandala to decorate your room and office. This can be the best gift to your friends and family who is practicing yoga and meditation. 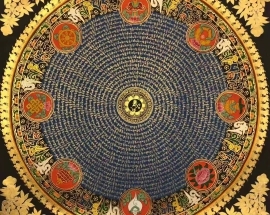 Mantra Mandala with Shakyamuni Buddha in Center is handpainted in Nepal. 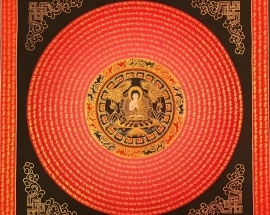 Shakyamuni Buddha is in the center of the mandala and it is surrounded by Om Mani Padme Hum mantra. White Tara was born from the tear of Avalokitesvara, the Buddha of Compassion, White Tara grants long life and renewal of one’s health and life force. 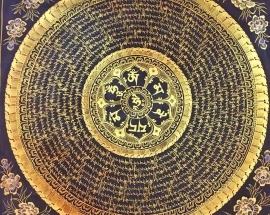 Om Mani Padme Hum Mantra Mandala is handpainted in Nepal. 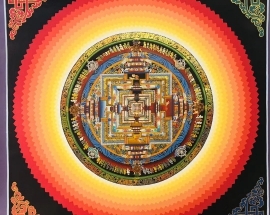 The size of this mandala is 50*50 cm. 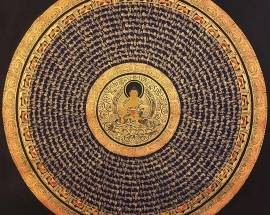 Mantra Mandala with Shakyamuni Buddha in Center is handpainted by the artist of Kathmandu Nepal. 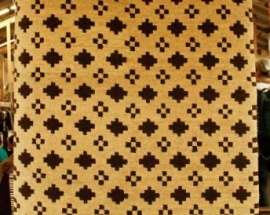 The strong visual contrast between the gold and the black background is very effective. 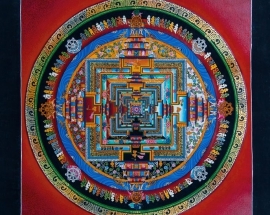 Kalachakra is a Sanskrit word that means “Time wheel”. 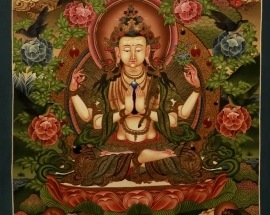 It refers to one of the most complex philosophies and meditation practices within tantric Buddhism.